As the Company's aggregate distributions exceeded its earnings and profits, a portion of the January 2013 distribution declared in the fourth quarter of 2012 and payable to shareholders of record as of December 31, 2012 will be treated as a 2013 distribution for federal tax purposes and is not included on the 2012 Form 1099. About Starwood Property Trust, Inc.
Starwood Property Trust, Inc. is focused on originating, investing in, financing and managing commercial mortgage loans and other commercial real estate debt investments, commercial mortgage-backed securities ("CMBS"), and other commercial real estate-related debt investments. Starwood Property Trust, Inc. also invests in residential mortgage-backed securities ("RMBS") and residential real estate owned, and may invest in non-performing loans, commercial properties subject to net leases and residential mortgage loans. The Company is externally managed and advised by SPT Management, LLC, an affiliate of Starwood Capital Group, and has elected to be taxed as a real estate investment trust for U.S. federal income tax purposes.  SOURCE Starwood Property Trust, Inc.